Having a waterproof cycling jacket to keep out the rain and the elements is essential for all cyclists. No one wants to get wet on their bike. Equally, not everyone lives somewhere where it is always sunny. Therefore, sometimes we have to go out on our bikes in bad weather. You need a good cycling jacket to protect you from whatever weather you might face. Choosing which one to buy can be tricky though – there are so many options. This article aims to summarise the best jackets around and provide each with their own waterproof cycling jacket review. After reading this, you should have a better idea of which cycling jacket is best for you. There are several elements to consider before buying a cycling jacket. You should look for the one which seems to suit you best, rather than necessarily the one that many others liked. Read around the waterproof cycling jackets reviews here, and find the best for you. The first element to be considered is how waterproof the jacket is. This may seem obvious, but you need your jacket to keep out the weather. This will depend on the material and the construction. Look for storm resistant fastenings, and seams which are neatly closed to prevent water entering. Breathability is an important concern. You need your jacket to allow sweat to escape from within, while still keeping rain out. Generally, the more breathable a fabric is, the less waterproof. Well designed jackets will keep particularly breathable areas in certain parts of the jacket. This allows sweat to escape from your jacket, and keeps the weather away. Visibility is a major factor for many in choosing their cycling jacket. 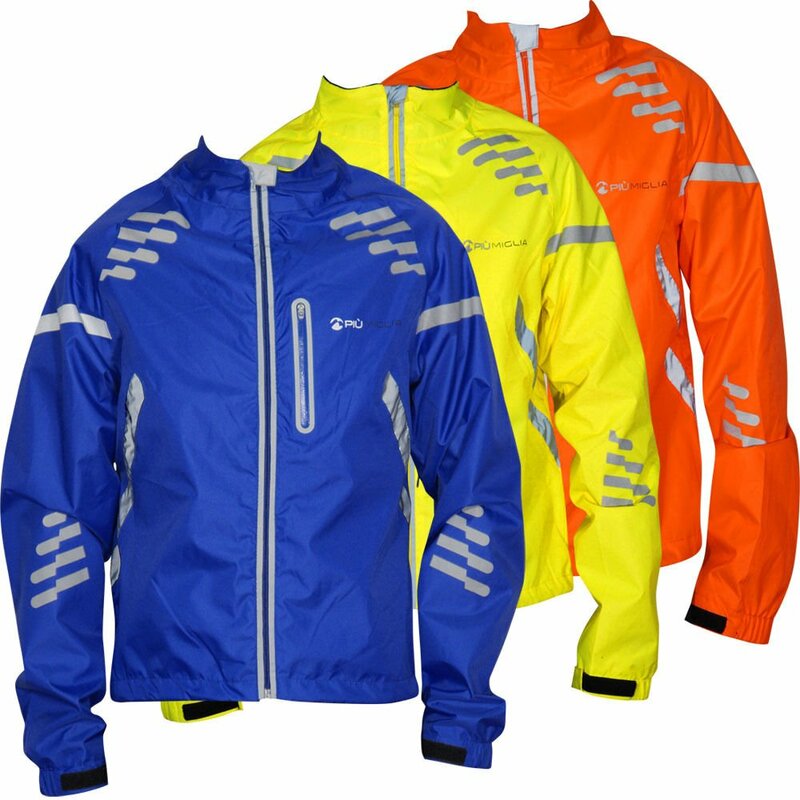 If you intend on cycling on busy roads, or out of well lit areas, you will need a jacket which reflects light and otherwise makes you more visible. Finally, the fit of a jacket is of course important. Make sure your jacket is comfortable to wear, or all the other factors will become irrelevant. This is a mid range jacket, at a mid range price. At around £40, the Mountain Warehouse Iso-Viz Jacket is well made, and works well at keeping out the rain. Many reviewers noted with delight how waterproof the jacket is. Others described it as being impressively breathable, too. It is not described as being a particularly warm jacket though. One of the jacket’s main selling points is its reflective, highly visible colouring. The jacket comes in a neon yellow colour, which makes it easily visible by motorists – if perhaps at the expense of style. Reviewers were impressed by the build quality of the jacket, with its taped seams and storm resistant zips. However, a few noted with disappointment that you need to order a size larger than usual, due to a small fit. This is one of the cheaper jackets on this list, and comes with some of the benefits and costs associated. At less than £30, this is a budget option, which is important to those who would rather spend their money on other aspects of their cycling gear. It comes in four colour options, each described by many reviewers as being more stylish than some of the other jackets on this list. Due to the low cost, there are some sacrifices to be made. The material is described by many as being very waterproof, yet is not overly breathable. The fastenings and seams are not as high quality as some of the more expensive jackets either. The jacket is surprisingly warm though, with reviewers noting how comfortable they felt wearing it. However, the fit was described as being a little odd, and most reviewers had to order a size larger than they would usually. The Tenn Vision Waterproof Cycling Jacket is an excellent budget option for the safety conscious cyclist. It comes in a neon yellow colour, with reflective designs on the rear, making especially visible in low light. Indeed, for the price, this is perhaps the best reflective jacket on the list. The materials and build quality are of the quality you might expect for the price, although many felt it was impressively warm. The fit is looser than many other jackets on the list, and there is no need to order up a size. It is also described by many reviewers as very effective at protecting you against the weather. However, many reviewers complained that the jacket did not allow sweat to escape well. The lack of breathability makes this jacket perhaps better for the shorter distance cyclist. In combination with the reflective designs, this jacket would be perfect for the urban cyclist on a budget. This is a jacket sold on its light weight – and most reviewers agree. The Tenn Swift is perhaps the lightest of all the jackets on this list, with the associated advantages and disadvantages. This is one of the most comfortable cycling jackets, due to its lightweight design and materials, but also its comfortable mesh lining. It can be easily packed away, either folded or rolled, making it a very portable jacket. Reviewers did point out, however, that this jacket is only water resistant, rather than being wholly waterproof. This jacket is one of the lower priced on the list however. It might, therefore, be considered an excellent option for a ‘back up’ jacket, to be taken on trips just in case it rains, rather than being taken out in heavy downpours. At around £50, this is the most expensive jacket on the list. While perhaps not suitable for those looking for a budget option, this jacket has the best build quality, and the most comfortable fit. It is described by almost all of its reviewers as being very effective at keeping out the rain. It also works well at allowing sweat out of the jacket, due to its breathable patches in strategic locations. Another aspect which was praised by reviewers was the wind proofing. Most budget jackets do not consider wind proofing – so in this case, you get what you pay for. Reviewers were also impressed with the pockets in the jacket. Each was well protected from the weather, allowing the user to keep their phone, keys and the like safe and dry. The only frequent complaint from reviewers was that the sizing was larger than usual. This is the best jacket on the list from the perspective of preventing the wind and weather from entering. However, it has some other flaws which might sway your opinion away. The jacket is designed from its very cut to keep out the elements. It has a longer back than front, which prevents wheel spray from reaching you. There is a draw string around the bottom, allowing you to pull it tight around you. It is lined with fleece, which keeps the wearer warm. The sleeves adjust to keep rain out. However, some reviewers complain that it has poor breathability. The jacket is also very high visibility, making it a particularly safe jacket for busy areas, or areas of low visibility. This jacket might best suit an urban cyclist, due to its anti wheel spray design, and hi-vis appearance. It is also a good mid-level budget option, at around £45. The Piu Miglia Commuter Cycling Jacket is best described as a good, if not excellent, urban cycling jacket. However, at this time, it only costs a very respectable £29. This is a jacket designed for urban cycling, with a 360 degree visibility promise, to keep the wearer safe and visible at night. It is described by most reviewers as very effective in low levels of wind and rain. It has a warm lining, making it suitable for long periods in the cold. However, many reviewers questioned its capability to stand up to large amounts of precipitation. The ventilation of this jacket was well reviewed by many, which explains its lack of long term rain protection. One frequent complaint from purchasers was that the fit is tight around the back, and over long on the arms. This is solvable by buying a larger size, and perhaps to be expected with a budget price jacket. Waterproof cycling jackets are a necessity for most cyclists around the world. Unless you live somewhere where it is always nice weather, you are likely to need to use a jacket at some point on your ride. There are many to choose from, but hopefully after reading this article you will have a better idea which is best for you. There are many aspects to waterproof cycling jacket reviews to consider. Make your decision based on what is best for you, and your needs. If you need a budget jacket, choose one of the modestly priced ones on the list. If you need to be visible, favour the hi-vis jackets. Choose the jacket that best suits your needs, and you will always be happy with your choice. This entry was posted in Cycle Clothing.